The Master's programme Molecular and Cellular Life Sciences (MCLS) takes a multidisciplinary approach to molecules, cells and organisms. The programme provides students with the expertise to optimally address major scientific challenges and societal issues, such as human diseases and sustainable growth, as well as for innovative research in (plant)biotech industry. The interplay of biomolecules in cells and organisms takes a central role in this programme. Students will develop extensive knowledge and skills to be successful in many areas of the Life Sciences. The program is focused on cell signalling, membrane biogenesis and intracellular transport mechanisms, as well as the methods of biochemistry, cell biology, computational biology, proteomics and genomics. All of these can be needed to approach problems in the field. Powerful modelling systems which have already been established will be even more effective when used in combination with biochemical knowledge and genome data. The programme offers expert training in several of the most prominent biological models, including bacteria, fungi, plants and animals, as well as cultured mammalian and insect cells. In the past, research has often focused on a single level of observation: molecules, cells, tissues or organisms. Courses and projects in the programme emphasize crossing former boundaries. The current challenge is to bring all these levels together into a comprehensive understanding of life. This systems biology approach, calls for a broad set of competences which are all available at the Utrecht University. This acquired knowledge can be used to work on solutions in the biomedical field but also in the field of plant biology, biotechnology (e.g. industrial enzymes for biofuels) and nanotechnology (e.g. nanoparticles in medicine). Research groups from the departments of Biology, Chemistry, Pharmacy, Physics and faculties of Medicine and Veterinary Medicine are involved in this interdisciplinary programme. The MCLS programme is directly linked to the PhD-programmes of the Bijvoet Center for Biomolecular Research, the Institute for Biodynamics and Biocomplexity and the PhD programme of Computational Life Sciences. 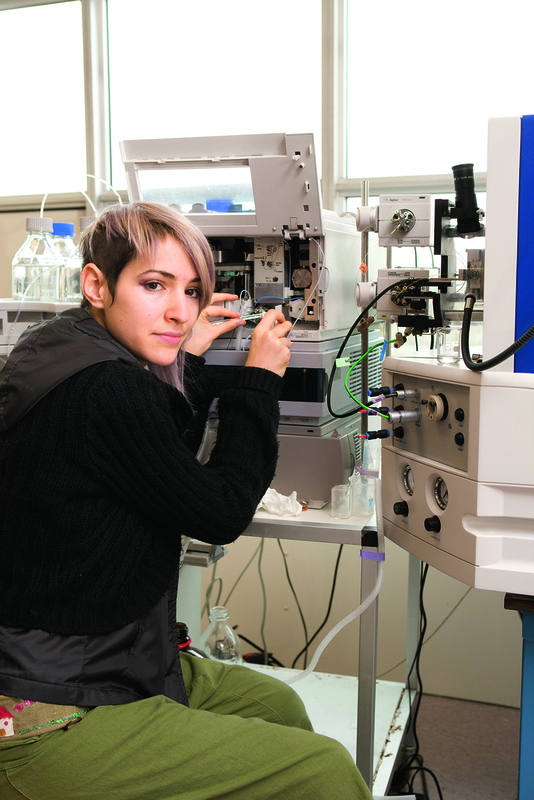 Our programme is directly linked to the PhD programmes Biomembranes, Molecular Life Sciences and Computational Life Sciences of the Graduate School of Life Sciences.